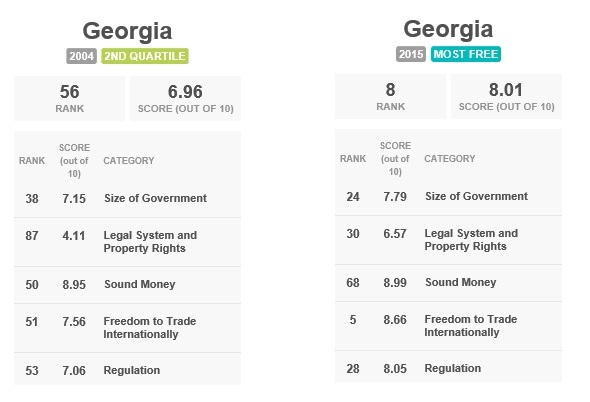 Back in April, I shared a new video from the Center for Freedom and Prosperity that explained how poor nations can become rich nations by following the recipe of small government and free markets. Now CF&P has released another video. Narrated by Yamila Feccia from Argentina, it succinctly explains – using both theory and evidence – why spending caps are the most prudent and effective way of achieving good fiscal results. Ms. Feccia covers all the important issues, but here are five points that are worth emphasizing. Demographics – Almost all developed nations have major long-run fiscal problems because welfare states will implode because of aging populations and falling birthrates (Ponzi schemes need an ever-growing number of new people to stay afloat). Golden Rule – If government spending grows slower than the private sector, that reduces the relative burden of government spending (the underlying disease) and also reduces red ink (the symptom of the underlying disease). Success Stories – Simply stated, spending caps work. She lists the nations that have achieved very good results with multi-year periods of spending restraint. She points out that the U.S. made a lot of fiscal progress when GOPers aggressively fought Obama. And she shares the details about the very successful constitutional spending caps in Hong Kong and Switzerland. Better than Balanced Budget Amendments or Anti-Deficit Rules – The video explains why policies that try to target red ink are not very effective, mostly because tax revenues are very volatile. Even International Bureaucracies Agree – Remarkably, the International Monetary Fund (twice! ), the European Central Bank, and the Organization for Economic Cooperation and Development (twice!) have acknowledged that spending caps are the most, if not only, effective fiscal rule. I touch on some of these issues in one of my chapters in the Cato Handbook for Policymakers. The entire chapter is worth reading, in my humble opinion, but I want to share an excerpt echoing Point #4 that I just shared from Ms. Feccia’s video. There’s a very practical reason to focus on capping long-run spending rather than trying to balance the budget every year. Simply stated, the “business cycle” makes the latter very difficult. …when a recession occurs and revenues drop, a balanced-budget mandate requires politicians to make dramatic changes at a time when they are especially reluctant to either raise taxes or impose spending restraint. Then, when the economy is enjoying strong growth and producing lots of tax revenue, a balanced-budget requirement doesn’t impose much restraint on spending. All of which creates an unfortunate cycle. Politicians spend a lot of money during the good years, creating expectations of more and more money for various interest groups. When a recession occurs, the politicians suddenly have to slam on the brakes. But even if they actually cut spending, it is rarely reduced to the level it was when the economy began its upswing. Moreover, politicians often raise taxes as part of these efforts to comply with anti-deficit rules. When the recession ends and revenues begin to rise again, the process starts over—this time from a higher base of spending and with a bigger tax burden. Over the long run, these cycles create a ratchet effect, with the burden of government spending always reaching new plateaus. It’s not that I want to belabor this point, but the bottom line is that it is very difficult to amend a country’s constitution (at least in the United States, but presumably in other nations as well). So if there’s going to be a major campaign to put a fiscal rule in a constitution, then I think it should be one that actually achieves the goal. And whether people want to address the economically important goal of spending restraint or the symbolically important goal of fiscal balance, what should matter is that a spending cap is the effective way of getting there. P.S. The narrator is from the soccer-mad country of Argentina, which has a big rivalry with the soccer-mad nation of Brazil. Like most Americans, I don’t quite get the appeal of that sport. That being said, I will cheer for Brazil the next time it plays against Argentina for the simple reason that it just adopted a constitutional amendment to cap government spending. If Ms. Feccia wants me to cheer for her country’s team, she needs to convince her government to do something similar. What could be more fun than to spend the day before Christmas reading about fiscal policy? I realize there are probably endless ways to answer that question, particularly since normal people are probably more concerned about the rumor that the feds are going to arrest Santa Claus. But America’s fiscal future is very grim, so hopefully some of you will be interested in some relevant new research on spending caps. My buddy Sven Larson has a scholarly article about deficits and the Swiss Debt Brake that has just been published by the Journal of Governance and Regulation. The first half of his article is a review of the academic debate on whether deficits are good (the Keynesians) or bad (the austerity crowd). This literature review is necessary for that sort of article, though I think it’s a distraction because deficits are merely a symptom. The real problem is excessive government. Sven then gets to the meat of his article, which considers whether the Swiss Debt Brake (which imposes a cap on annual spending increases) is a better approach because it isn’t focused on annual budget deficits (which are susceptible to big swings because income tax revenues can dramatically increase or decline based on the economy’s performance). …the Swiss Debt Brake…focuses primarily on the non-cyclical, i.e., structural part of the deficit in Switzerland (Geier 2011). By focusing on the long-term debt outlook rather than the short-term or annual ebbs and flows, the debt brake allows the economy to move through a business cycle without disruptive fiscal-policy incursions. …Since it was introduced in 2003 it appears to have worked as intended. Beljean and Geier (2013) present evidence suggesting that the brake has ended a long period of sustained government deficits. Sven then cites my Wall Street Journal column on the Debt Brake, which is nice, and he then shares some new evidence about the economic benefits of the Swiss spending cap. The Swiss economy grew faster in the first decade after the brake went into effect than in the decade immediately preceding its enactment. And, in his conclusion, he speculates that the United States could reap similar economic benefits with a spending cap. Should Congress manage to pass and comply with an adapted version of the Swiss debt brake, it is reasonable to expect…stronger economic growth. As an indication of the potential macroeconomic gains, a real growth rate of three percent as opposed to two percent over a period of ten years would add more than $2.3 trillion in annual economic activity to the U.S. GDP. The degree of additional growth that would be triggered by a spending cap is an open question, of course, but if we could get even half of that additional growth, it would be a boon for American living standards. Let’s now shift to an article with a much more hostile view of spending caps. I wrote very recently about the adoption of a spending cap in Brazil. 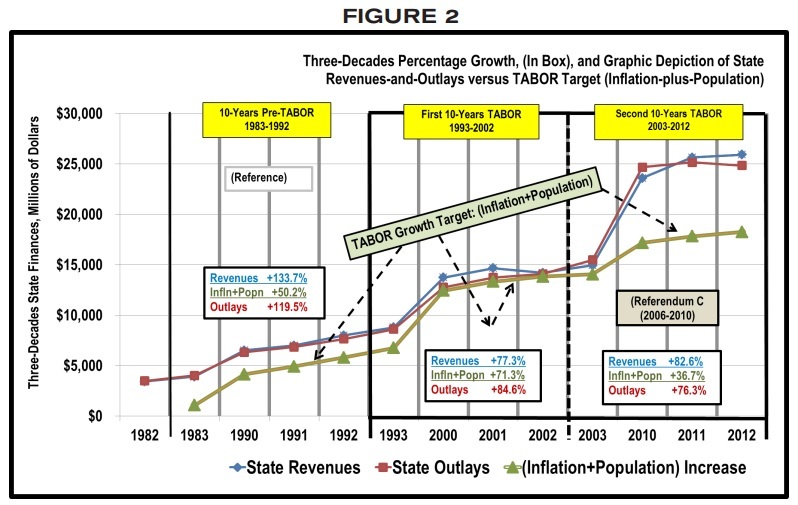 This new system will limit government spending so that it can’t grow faster than inflation. Sounds very reasonable to me, but Zeeshan Aleem has a Vox column that is apoplectic about the supposed horrible consequences. Americans worried that Donald Trump will try to shred the nation’s social welfare programs can take some grim comfort by looking south: No matter what Republicans do, it will pale in comparison with the changes that are about to ravage Brazil. On Thursday, a new constitutional amendment goes into effect in Brazil that effectively freezes federal government spending for two decades. Since the spending cap can only increase by the rate of inflation in the previous year, that means that spending on government programs like education, health care, pensions, infrastructure, and defense will, in real terms, remain paused at 2016 levels until the year 2037. 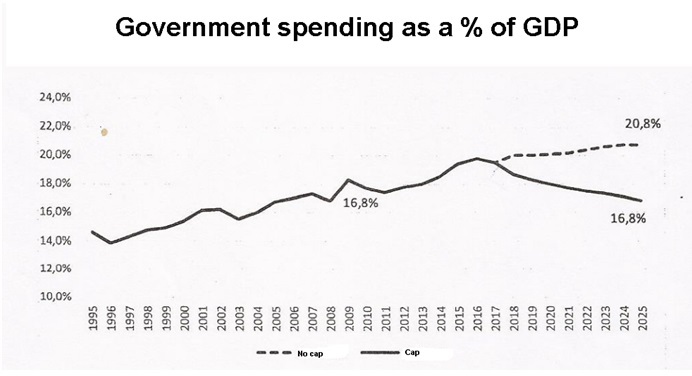 Since the burden of government spending in Brazil has been rising far faster than the growth of the private sector (thus violating fiscal policy’s Golden Rule), I view the spending cap as a long-overdue correction. Interesting, Aleem admits that the policy is being welcomed by financial markets. As far as inspiring faith from investors, the amendment appears to be working. Brazil’s currency and stocks rose during December in part because of the passage of the measure. But the author is upset that there won’t be as much redistribution spending. …the spending cap…places the burden of reining in government spending entirely on beneficiaries of government spending — all Brazilians, but especially the poor and the vulnerable. Instead, Aleem wants big tax increases. Wow, methinks Professor Carvalho and I don’t quite see things the same way. I would point out that falling revenues in a deep recession is not a surprise. But that’s an argument for policies that boost growth, not for big tax hikes. Especially since the long-run fiscal problem in Brazil is a growing burden of government spending. And it’s worth noting that overall impact of the spending cap, even after 10 years, will be to bring the size of the public sector back to where it was in about 2008. Let’s close by reviewing an article by Charles Blahous of the Mercatus Center. Chuck starts by noting that we have a spending problem. More specifically, the burden of government is expanding faster than the private economy. 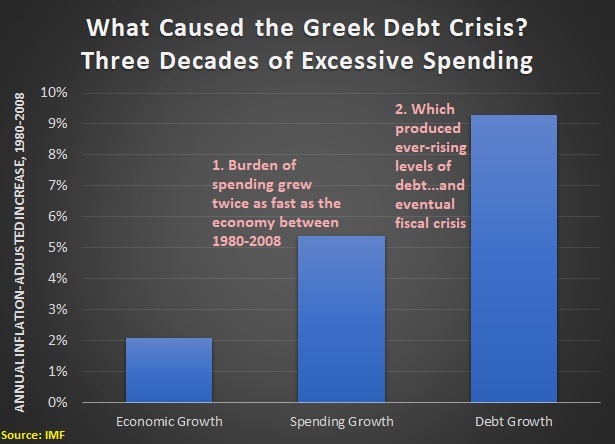 …to say we have a problem with deficits and debt is an oversimplification. What we have instead is an overspending problem, and the federal debt is essentially a symptom of that problem. 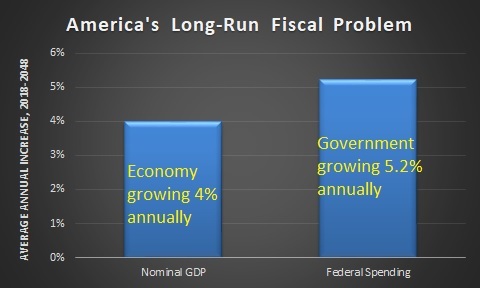 …federal spending has grown and will grow (under current projections) faster than our Gross Domestic Product (GDP). The solution, he explains, is a procedural version of a spending cap. To solve this, future federal budgets in which spending grows as a percentage of GDP from one year to the next should require a congressional supermajority (e.g., three-fifths or two-thirds) to pass. Only if spending in the budget does not rise as a percentage of GDP from one year to the next could it be passed with a simple majority. Chuck explains why there should be a limit on spending increases. …we cannot permanently continue to allow federal spending to grow faster than America’s production. …as government spending growth exceeds GDP growth, we all lose more control over our economic lives. As individuals we will have less of a say over the disposition of each dollar we earn, because the government will claim a perpetually-growing share. And higher taxes are never a solution to a spending problem. …this problem cannot be solved by raising taxes. Raising taxes…does not avoid the necessity of keeping spending from rising faster than our productive output. Raising taxes may even have the downside of deferring the necessary solutions on the spending side. The last sentence in that abstract is key. I’ve written about why – in theory – I could accept some tax increases in order to obtain some permanent spending reforms. In the real world of Washington, however, politicians will never adopt meaningful spending restraint if there’s even the slightest rumor that higher taxes may be an option. He concludes that current budget rules need to be updated. 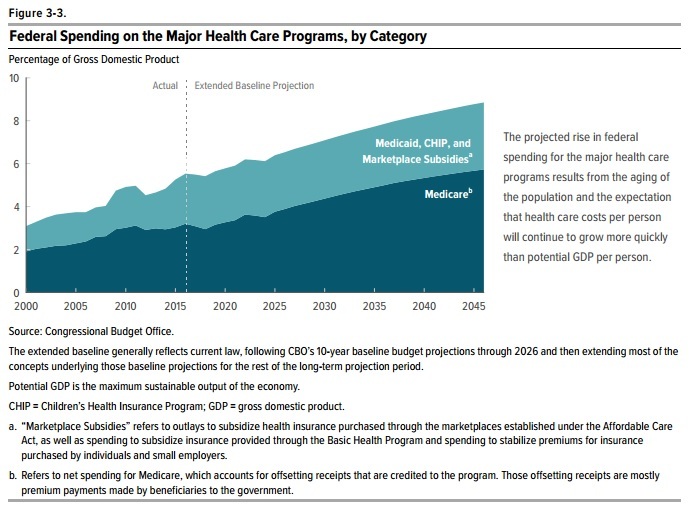 …budget rules apply no procedural barriers to continuing unsustainable spending growth rates, while legislative points of order protect baseline fiscal practices in which both federal spending and revenues grow faster than the economy’s ability to keep pace. I certainly agree, though it would be nice to see something much stronger than just changes in congressional procedures. Perhaps something akin to the constitutional spending caps in Hong Kong and Switzerland? Now that would be a nice Christmas present for American taxpayers.